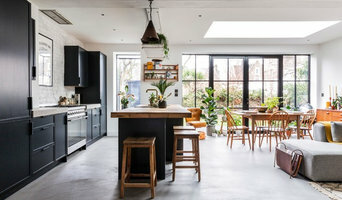 London's affordable and accessible interior design studio and winner of Best of Houzz for 6 years. I founded Honey Bee Interiors with the aim of making interior design accessible and affordable for everyone. As an experienced interior designer and stylist, I enjoy working on smaller projects including e-decoration worldwide as well as more involved design projects where I help to design, decorate, source and refurbish residential and commercial properties. 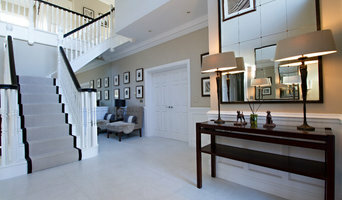 I am also happy to provide advice and interior design schemes on a room by room basis. My style is bold, fun and colourful, mixing vintage influences with contemporary style. 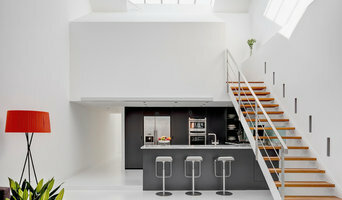 Most of all, I think it’s important for spaces to have real character and to reflect your individuality. 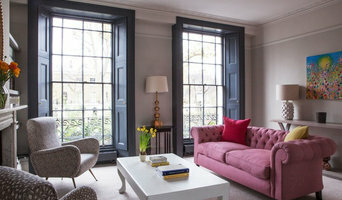 My past projects have been featured in Beautiful Homes, Ideal Homes and Living Etc. My clients often comment that I’ve created a home that feels exactly in keeping with their style - but just a little bit braver than they would have dared to choose on their own! From our initial consultation, I’ll gather a good understanding of what you’d like to achieve with your space. We’ll work closely together, as I always present you with different options for each aspect of the design. This means you’ll be left with a space that you both love and feel connected to. I also own The Vintage Chandelier Company, where I discover and sell antique and vintage chandeliers that have been lovingly restored to make unique one off pieces for contemporary homes. You can take a look at www.vintagechandeliers.co.uk! Modern & Contemporary Children’s Interior Design Leo & Grace specialises in designing beautiful babies’ nurseries, children’s rooms, and family spaces, that are sympathetic to your style, and tick all the boxes from a practical perspective too. Often the smallest rooms in our homes have to work the hardest, providing a: calming environment for sleep, comfortable spot to nurse and read stories, imaginative space to encourage play, and a stimulating place for your child to learn and develop. Designing a child’s room can therefore often seem quite daunting, but it doesn’t have to be. I’m here to make it easier for you to create the dream space for your child. So whether you’re completely stuck for ideas and unsure where to begin, or you’re feeling overwhelmed and need help bringing it all together into a cohesive scheme, I’d love to help. Get in touch and we can discuss the most suitable package for you and your child.